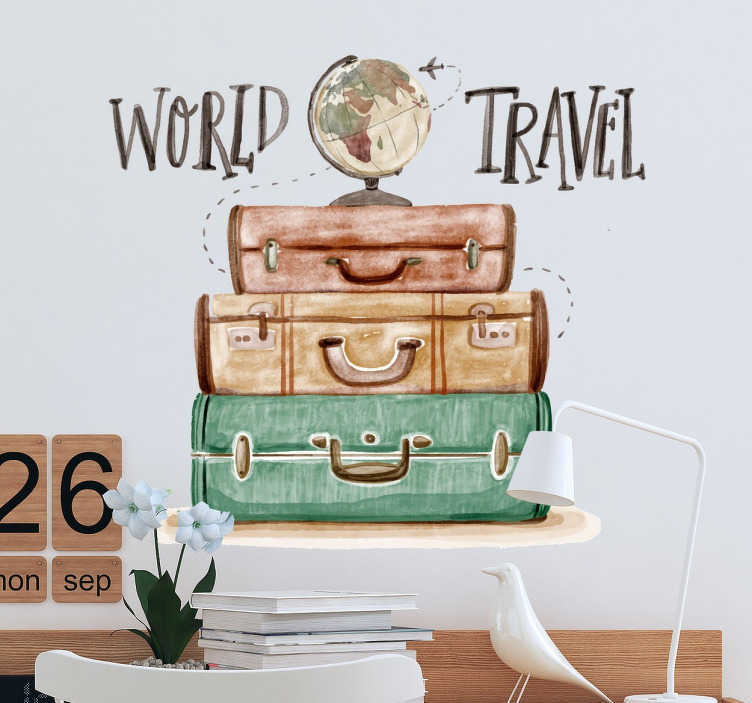 Show visitors to your home your love for travelling with this original decorative wall sticker, perfect for any room in the home! Featuring a stack of suitcases with a globe perched on top alongside the text "world travel", this sticker is as easy to apply as it is to remove, this vinyl leaves absolutely no residue upon removal! Available in a wide variety of different sizes!